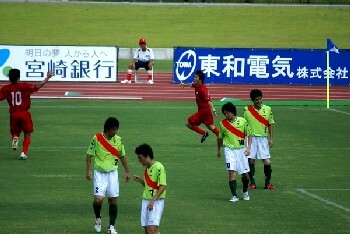 Although most of the focus of attention in the JFL on Sunday was towards the bottom of the table, Honda FC nevertheless managed to extend their lead at the top to five points over Rosso Kumamoto - but the title hopefuls will surely be feeling that this was a missed opportunity, given that they only drew 0-0 at home against Sony Sendai. 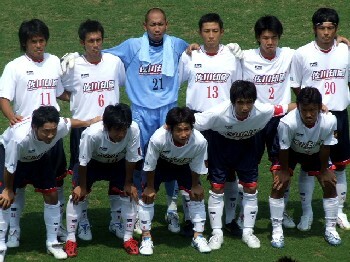 The big winners of the day, however, were undoubtedly Ryutsu Keizai University, who dished out a 4-0 thrashing to Mitsubishi Mizushima in their relegation battle. With FC Ryukyu drawing at home to SC Tottori and FC Kariya needing a late equaliser to get a 1-1 tie at Honda Lock, RKU have jumped two crucial places in the division - a move yet bettered by Sagawa Printing, for whom Hideyuki Ishida scored a hat-trick in a 3-0 win over JEF Club. All of a sudden, things look even more serious for Mitsubishi and Ryukyu as they aim to stay out of the bottom two and the end-of-season relegation play-off.